NOCCi Residency is the only Star Rated accommodation in Balasore, ideal for Business & Leisure. 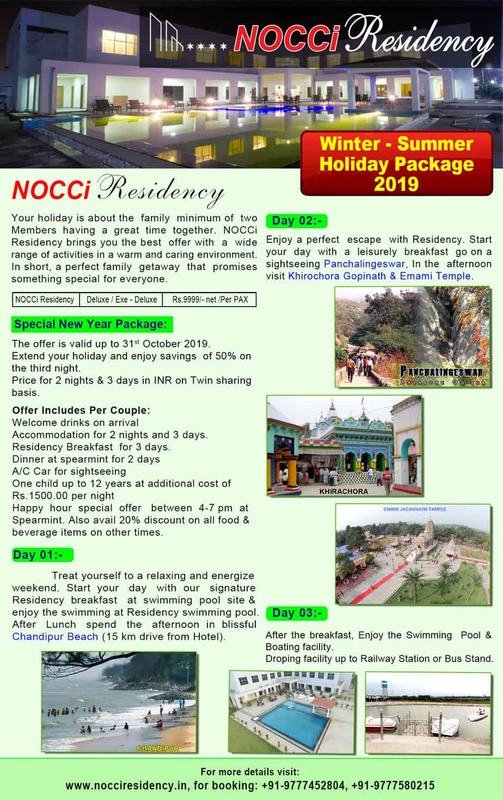 NOCCi Residency is a unique destination amidst the serenity of green 10-acre campus, offering comfortable accommodation & an extensive range of services to its discerning guests. Ideal for a long stay as well as short-stay. The residents have access to a host of facilities. Twin & King size beds, Tea/Coffee maker, 32” LED TV with 100 channels, 24 hr Free wifi internet, Room service, Mineral Water, Ice box & hair dryer, Safe deposit locker, Premium toiletries. Enjoying all of the premium services and features including our Deluxe room luxuries with extra benefits of Living space with Mini bar, Living space with extra TV, dining table, etc. King size bed, Tea/Coffee maker, 32” LED TV with 100 channels, 24 hr Free wifi internet, Room service, Mineral Water, Ice box & hair dryer, Safe deposit locker, Premium toiletaries, Living space with Mini bar, Living space with extra TV, dining table. King size bed, Tea/Coffee maker, 32” LED TV with 100 channels, 24 hr Free wifi internet, Room service, Mineral Water, Ice box & hair dryer, Safe deposit locker, Premium toiletaries, Living space with Mini bar, extra TV, dining table & powder room. The Spa offers varieties of wellness therapies for calming of the mind and body. There is a steam room for relaxation. 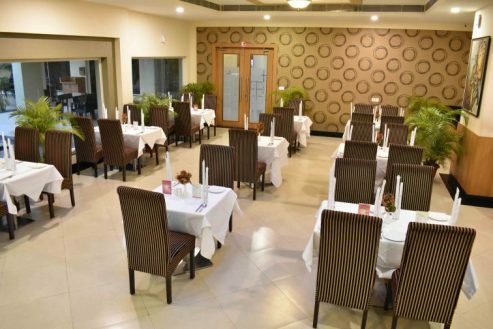 Explore delightful local and global cuisine from the restaurant and the hotel takes the guests through an excellent experience of gastronomic journey of flavour, aroma, music, ambience, innovative cuisine and memories. Inform, communicate, discuss, negotiate, and succeed all in the comfort and professional atmosphere of the Nocci Residency meeting facilities. The hotel offers meeting rooms, conference and banquet facilities for groups as small As 4, and as large as 100. NOCCi is an apex body of Industry & Commerce of North Orissa. It has a focus on sensitizing industry and academic institutes for skill development through continual education and training. The regular interaction, presentations, training, workshops and study missions are held for professionals and students at all levels for capacity building and gaining knowledge on future prospects. 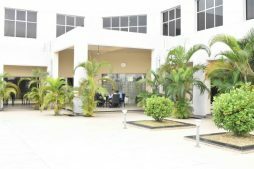 The Residency has two conference rooms, convertable in to one 100 seater conference hall, perfect for meetings, seminars, banquets, small wedding receptions and ceremonies. The Spa offers varieties of wellness therapies for calming of the mind and body.There is a steam room for relaxation. The Residency has a small golf green with a driving range & two potting greens next to the infinity pool providing a unique executive ambience & relaxation facility.